Everything you're wearing is adorable as always, but HOLY WHOA THAT D&B BAG! I've never seen one in those colors! So dreamy! So cute! I love your hair bow! 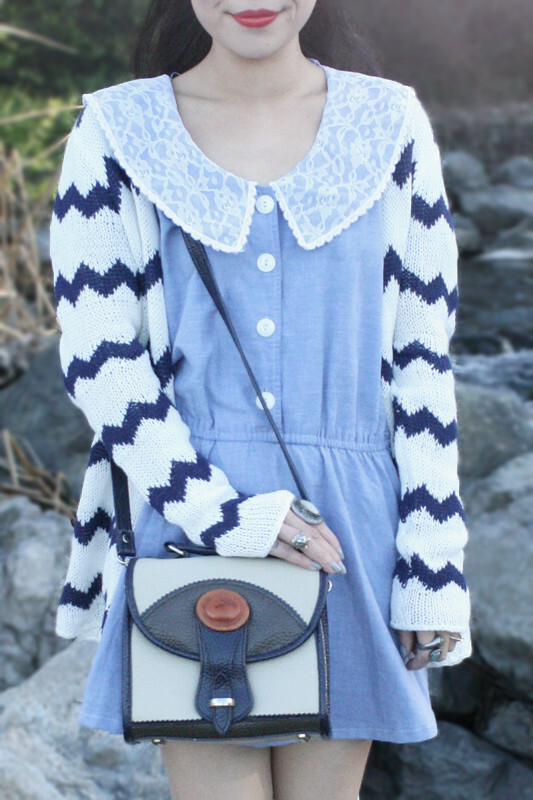 That purse is just so cute! You always have the best purses! Also, I really like your dress. 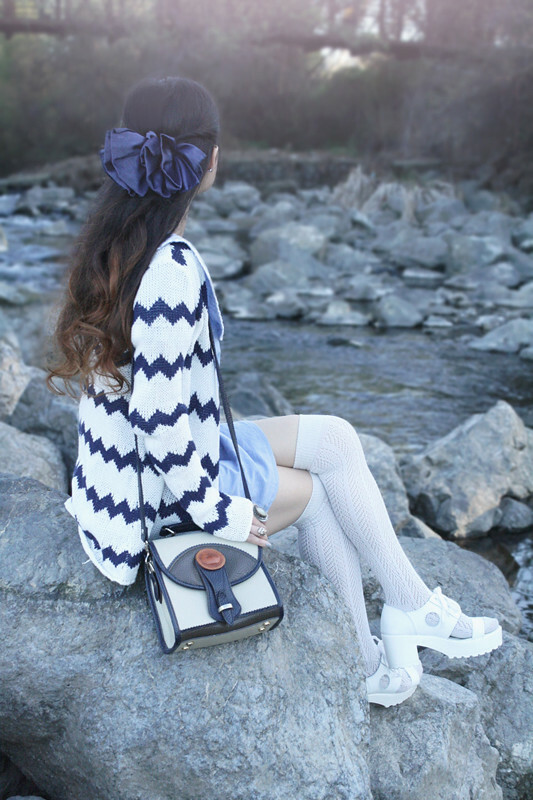 Your zigzag sweater is so cute! 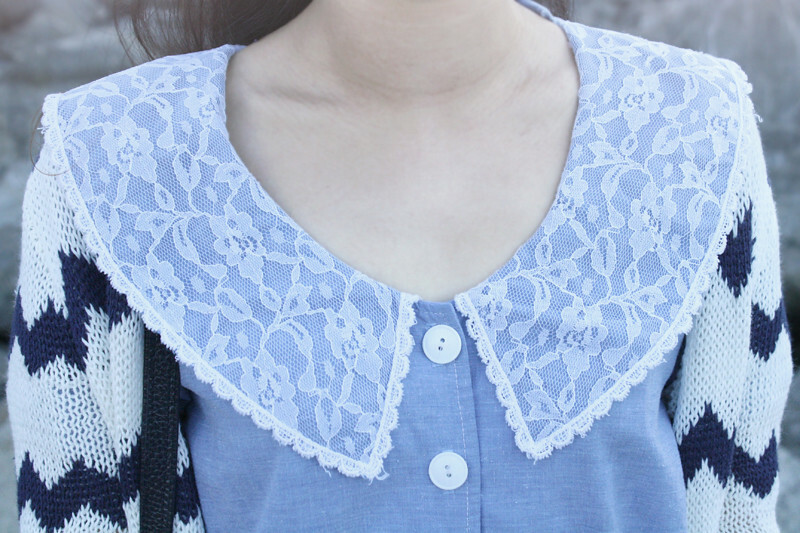 I love it with the chambray dress. 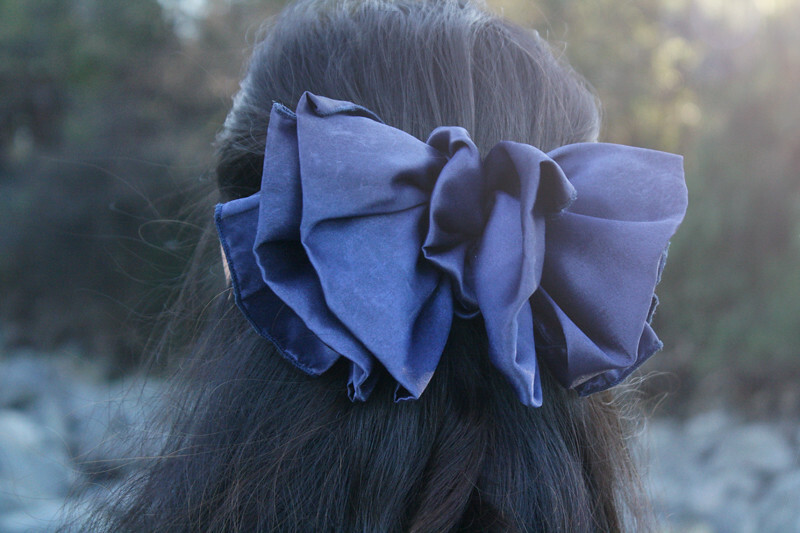 The big bow in your hair is the perfect adorable detail for this outfit.